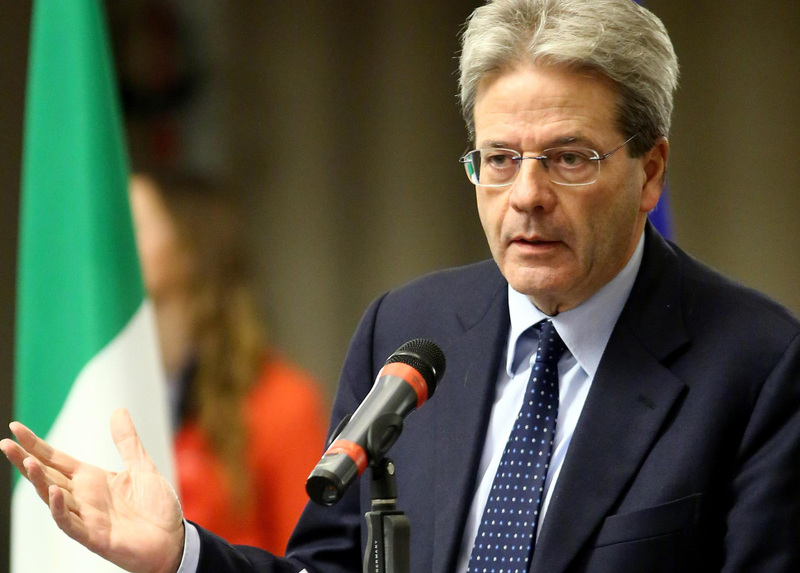 The Italian Minister for Foreign Affairs, Paolo Gentiloni, and the Minister for Economic Development, Federica Guidi paid a visit to the Islamic Republic of Iran on Tuesday, August 4, 2015. Indeed the denomination “Iran” – instead of the more correct denomination “Persia” – was called for by Reza Shah in 1935 to support the idea of his country as origin of the “Aryan” world, meaning “of noble birth, of noble heritage” – according to the strange etymologies which circulated at the time. Here again we are faced with the recent obsession for economy of Italian diplomacy, which has even turned an extraordinary strategic think tank as the courses of the Diplomatic Institute into an ordinary management school, as if whoever represents a country like Italy were a sort of salesman of national companies. This is not correct. It is the credible and authoritative national policy – sometimes also not averse to trials of strength – which builds confidence, rather than the too often low profile of our global and pressing telesales. Obviously, there is nothing negative in it, but it does not encompass the whole political and strategic line of a country like Italy, which is not a supermarket. This reminds me of the former President of the Republic, Carlo Azeglio Ciampi: during his visit to China, the German Prime Minister arrived in Beijing for a one-day visit and, in a few hours, ensured the German hegemony over the Chinese automotive market. According to SACE, over the next three years, the lifting of sanctions could lead to an increase of trade between the two countries equal to at least three billion euro. Even last year, however, the relations between Italy and Iran were worth at least 1.100 million euro, with an increase of almost 10% as against the previous year. The Iranian leaders want to focus on the car, gas and oil sectors – but, in this regard, we shall analyze the steadfastness and endurance, as well as the reserves of the Shiite State – as well as on machinery and secondary consumer goods. 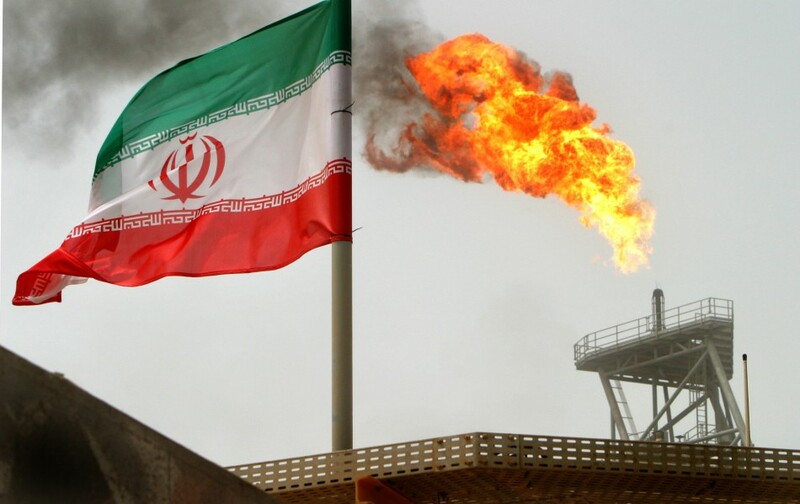 Again according to the Iranian authorities, without sanctions the crude oil exports could reach 2.3 million barrels/day, as opposed to the current 1.2 millions. Today Iran ranks eight among energy producers, after India and before Australia. As a result of sanctions, buyers have replaced at least one million barrels/day of Iranian oil with oil from other OPEC producers – and all the geopolitical and military consequences are before us to be seen. If the sanctions are gradually lifted – as after the nuclear deal between the Shiite government and the P5+1 – Iran could rank second, or even first, among the exporting countries which are members of the Vienna cartel. China has partially replaced the Iranian oil and gas with those coming from Iraq, Angola and Nigeria while the EU has bought them more from Saudi Arabia, Nigeria, South Africa and, to a lower extent, from Angola. This shows how sanctions can draw – for a short lapse of time – the map of the globalization winners and losers. Reverting to the visit by Ministers Gentiloni (photo) and Guidi, who aspire to reach again the 7 billion euro record of trade between Iran and Italy stricken in 2011, the delegation was well represented and included Finmeccanica, Ansaldo Energia, Cassa Depositi e Prestiti (why do they want to sell shares of the CDP to the Iranian sovereign fund National Development Fund, which has on hand about 55 billion US dollars, almost equal to the 60 billions which will be the entire “loot” of the end of sanctions? ), SACE, Fincantieri, Tecnimont, Fondo Strategico Italiano and other minor private entities. But do we really know what the lifting of sanctions – so cheerfully and naively supported by Italy – means? According to analysts, the Iranian accounts frozen abroad are worth 120 billion US dollars. In 2014 Iran’s trade totaled 160 billion US dollars. 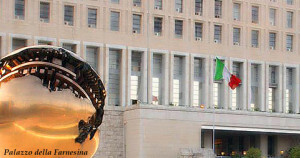 Since the implementation of the Joint Plan of Action – which is the exact denomination of the agreement between the P5+1 and Iran – the Central Bank of Iran has repatriated over 25 billion of funds or gold which – according to the financial experts of the Iranian government – have been used to stabilize the domestic exchange rate. Obviously the new funds being repatriated will be used for imports. Stabilizing the internal market is always positive from the political viewpoint, while some funds frozen in foreign banks (for example in British banks) have so far been used to acquire health products of which the Iranian market is structurally deficient. Iran’s industrial base is largely underused, but it needs significant capital for its technological upgrade. The problem, however, lies in the fact that Iran’s basic industry – namely the oil and gas sector – needs urgent investment for technology upgrades and – we suspect – for making the best use of oil wells and oilfields which are now very – and, indeed, too much – “mature”. According to industry analysts, this would amount to 230 billion US dollars to be spent over a maximum period of five years, otherwise Iran will disappear from the list of large extractors/manufacturers. The Stabilization Fund for Petroleum – another Iranian sovereign fund – is also an asset which could acquire the new revenue from the oil freed from the trade ban. Considering that it collects the extra profit from the OPEC rates, it could also act as an economy of financial substitution: capital is repatriated, hoarded and stored (apart from the high level of corruption) and the activity of investment and technology is entrusted – with all the related high risks – to the naïve Westerners, who will run the business risk and will offer their technology as a gift, without firing a single shot. This was done also by the Soviet Union during its planned phases of “thaw”. This reminds me of Kim Il-Sung when – thanks to his excellent knowledge of Iran – he advised me to be careful in dealing with the Shia Imams. Obviously it is always better to attract investment from abroad – and here is the strategic and geopolitical rationale of current Iran, which does not want to spend for its oil by reducing its military presence in the Gulf and elsewhere. If we invest in Iran and in the updating of its economy, we will enable it to back its military activities in the Lebanon, Iraq, Syria, Afghanistan, Azerbaijan, Oman, Bahrain, Saudi Arabia, Pakistan and even in India, where Iran supports the Shiite minority within the Sunni Islamic minority. Are we interested in it? 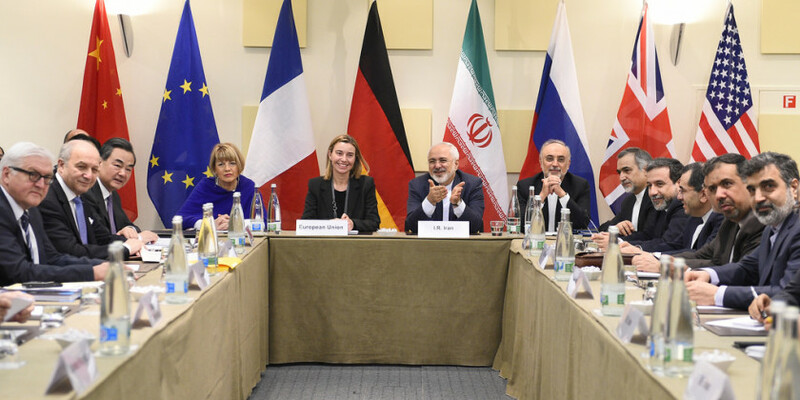 Do we really want to believe that a strategic trade-off is always less important than an economic one where, however, after the post-nuclear deal, we are already facing the competition of Germany and, in the near future, of Great Britain, which will try anything to oust us from the Iranian market? The death sentences imposed in Iran (at least 50 this year) are skyrocketing despite the new image of the Shiite government, while the crackdown on freedom of association and freedom of the press is also increasing. But now we have the naive Westerners to act as cover. And they will be so ever more after their being integrated into a military command economy we cannot determine. They will act as human shields for actions that Iran will be likely to take against Israel. 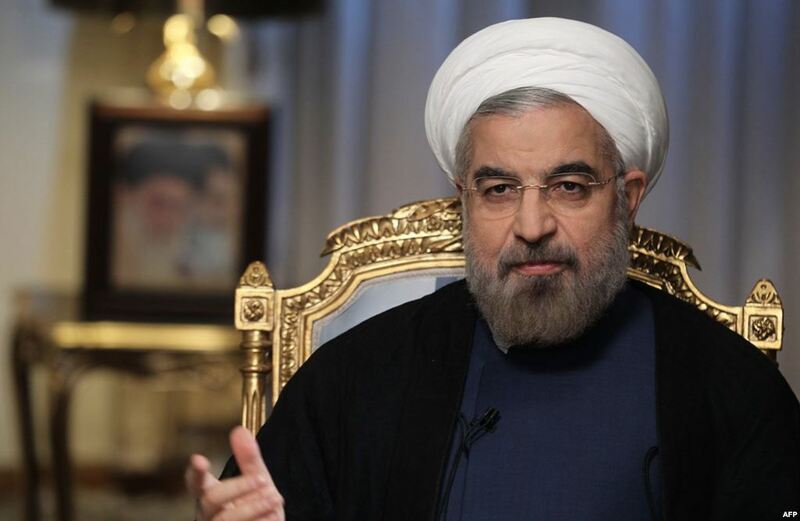 Recently the Iranian President, Hassan Rohani (photo), has said: “if you want Israel on wheelchair, go for military action”. Anyway Hassan Rohani – as indeed the Supreme Leader Khamenei – will accept the agreement only if the “others” accept Iran’s conditions. As we have already seen, these are one-way conditions, a strategic quia sum leo. Hence we are likely to be Shiite Iran’s human shields both against the Jewish State and in its actions in the Lebanon and Iraq, where the pressure of our companies operating in Iran will force us to reach a de facto agreement with the Iranian regime. Everything will be done by acquiring the whole business risk, even without Iran’s actual support, not considering the corruption cost (32% on average) and finally the uncertainty of a market in which the political power can oust a company all of a sudden. The US President, Barack Obama, stated that the IAEA inspections would be operational “where needed, when needed”, thus enabling the Vienna agency to check any suspicious location. This would not be the case. The agreement envisages that the written authorization of the host country, namely Iran, would be needed. Moreover, explicitly the scheme of the Joint Plan of Action is not permanent. If Obama wants to wash his hands of the Greater Middle East – where so far the USA have caused incalculable damage – we can understand him, but he must not say inaccurate things. Furthermore, immediately after the end of negotiations for the Joint Plan of Action, the Iranian Defense Minister repeatedly assured that the ballistic missile plans for intercontinental launches would go on smoothly, considering that they regard only “Iran’s national security”. Another headsman’s axe on every country creating not only strategic, but also economic problems for the Shiite regime. Do we really want to understand it, until we have time? On the other hand, we do no longer hold the whip hand of the Joint Plan of Action, as a result of the absolute incompetence of our “brokers and negotiators” with Iran. In fact, all Shia leaders state that if all the economic sanctions are not lifted immediately, Iran will feel free from any international obligation regarding its nuclear and missile arsenal – and, in foreign policy, too, this is tantamount to a blackmail. 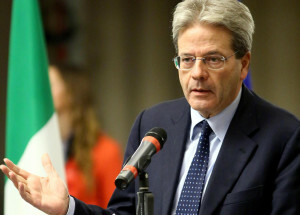 I wish to say to the joyful Italian guests of the Iranian government that, when dealing with sensitive issues, we must be very careful and evaluate each and every kind of blackmail, conditioning, pressure and manipulation that a State may use, even in a mere bilateral economic relationship. It would be the ABC, but today also this must be said clearly. Why Merkel is receiving love letters from migrants?